For IT News Week 1 Oct 2017. Hitachi Vantara today announced the appointment of Hans-Peter Klaey as chief revenue officer, to lead its global sales organization and accelerate adoption of its data-driven solutions and services. A Swiss national, Klaey has served as senior vice president and head of sales for HP Software in the IT infrastructure, cybersecurity and analytics software solution spaces. He also held several global and regional senior executive positions at SAP, including president of global small and midsize enterprises and as president and chief executive officer of SAP Asia Pacific and Japan. M N C Wireless Berhad is in the final stages of discussion to formalize the Collaborative & Technology Agreement with its strategic partner, M3 Technologies (Asia) Bhd, for the development of an inclusive e-commerce platform with integrated payment gateway solutions and end-to-end logistics support. The agreement is expected to be finalized and completed by quarter 1 of 2018. MNC entered into a Memorandum of Understanding (“MOU”) with M3Tech on 14 April 2017. The joint develop e-Commerce platform in Malaysia’s Digital Free Trade Zone (“DFTZ”) will comprise a Business-to-Business (“B2B”) focused trading platform for manufacturers to connect with international buyers, and a Consumer-to-Consumer (“C2C”) focused trading platform supporting smaller-scale entrepreneurs to sell through online platforms. Both companies have established a joint steering committee, made up of representatives from MNC and M3Tech to work on the strategic directions and performance criteria, commercialization of the platform, roles and responsibilities of both parties. Diwali, also known as the festive of light, is celebrated by Hindu in Malaysia. In conjunction with the Diwali celebration, vivo is here to be part of the celebration with a series of activities and promotion deals, a little something for everyone. At vivo, we want to bring you 7 different wonderful ways to celebrate Diwali! Check out this press statement for the 7 wonders. Kaspersky Lab unriddles today the mysterious threat of cyberespionage against countries, critical infrastructure, and companies in the region as part of its 3rd Asia Pacific (APAC) Cyber Security Weekend in Phuket, Thailand. The company’s annual cybersecurity conference in the region will bring together its top security experts along with industry professionals and journalists from 11 countries across APAC. The four-day event will highlight presentations from its top security researchers to reveal the truths and bust myths about cyberespionage, an alarming threat which has crossed the worlds of fiction and reality. Four cybersecurity experts from Kaspersky Lab’s Global Research & Analysis Team (GReAT) topbill this year’s APAC Cyber Security Weekend and will zero in on the state of targeted attacks in APAC countries from past to present and how governments, businesses, and concerned industrial sectors can beef up their cyber defenses. Vitaly Kamluk, Kaspersky Lab’s Director of GReAT in APAC, will open up the discussion by looking back at major cyber attacks that have hit public and private organizations over the past years in countries around the region. Seongsu Park, GReAT’s Senior Security Researcher based in South Korea, will specifically talk about the role of a company’s infrastructure in a successful targeted attack. To answer the who’s and how’s of a cyberespionage campaign, Noushin Shabab, Senior Security Researcher at Kaspersky Lab’s GReAT based in Australia, will discuss the forensic techniques and critical analysis being carried out by researchers for years to be able to understand an attack and to unmask its perpetrators. Yury Namestnikov, Senior Malware Analyst at Kaspersky Lab’s GReAT, will explain the trend of cyberespionage groups focusing on attacking financial organizations in the region using the now infamous ransomware to gain monetary rewards. 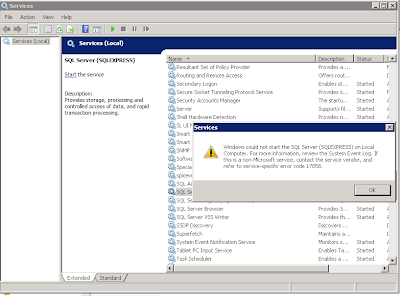 He will also reveal the techniques used by these groups to mask destructive wiper-attack as an ordinary cybercriminal activity. 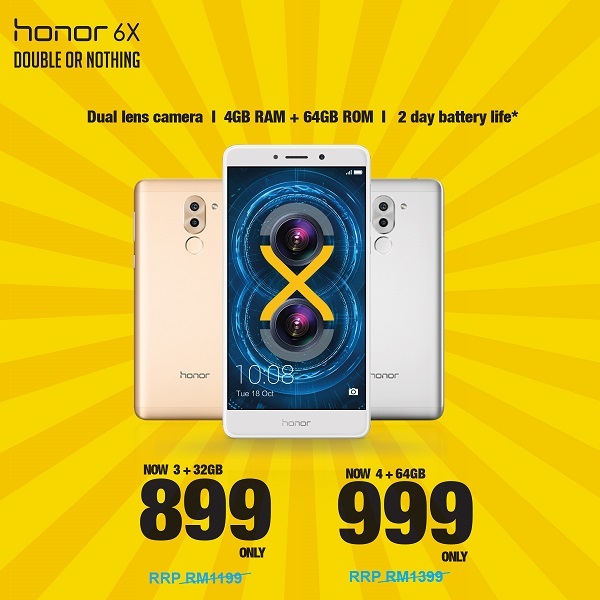 honor Malaysia today announced that it will be introducing a device that is able to satisfy the needs of everyday Malaysians with the price consumers desire. The device which will be introduced in the market sometime this October continues the honor tradition of providing high quality devices at a price consumers want to pay. “In the markets we operate in, we take a high level of commitment to offer products which embodies high standard in aesthetics, performance and innovation. In introducing our latest device in Malaysia, we have engaged extensively with our consumers and fans. We believe this device will address the growing need of consumers wanting a reliable, high-quality device that will suit their budgets” said Zhao Zhiwei, Head of honor Malaysia. The new honor smartphone will feature an inspired design of metal that is finished with a sophisticated sandblasting process and a multi-function fingerprint sensor that makes the user experience even more intuitive. For a sneak preview of the new honor smartphone, visit our Facebook page at www.facebook.com/HuaweiHonorMY/. Stay tuned! Digi has today launched its first official shop on Shopee, Malaysia’s fastest growing online shopping platform. By collaborating with Shopee, Digi is making transactions extremely easy, fast and secure for the large database of users to purchase mobile top-ups. In conjunction with the official launch, Digi will continue to offer the prepaid top ups with extra value until 3 November 2017. The offer includes prepaid top ups including RM5 reload, RM10 & RM15 reloads with 5% extra value and RM30, RM50 & RM100 reloads with 10% extra value that continues to record high demands from Shopee users. Online shoppers can check out Digi’s offerings on the Shopee app or https://shopee.com.my/digiofficialstore. Download the Shopee app for FREE via the Apple App Store or the Google Play Store. mTouche Technology Berhad, a company listed in Bursa Malaysia ACE Market signed a Memorandum of Understanding (MoU) with a local company, A Conceptech Sdn Bhd, a technology-focused higher learning facilitator company to provide an Online-to-Offline (O2O) International Education Hub with Artificial Intelligence (A.I.) and Blockchain Platform Technology for South-East Asia and Hong Kong market. The collaboration provides mTouche the opportunity to gain additional capacity and expertise on new technological knowledge in the O2O higher learning sector. It taps into the resources of A Conceptech’s expertise which specializes in online technology solutions for higher learning and offers offline educational consulting to local students, assisting in relocating and navigating the college university application process, transitioning from one school to another, and addressing other educational issues to improve the quality of education. This also allows A Conceptech to enter new geographical markets by leveraging on mTouche’s regional presence and technology capability on the development of the O2O International Education Hub, A.I. and Blockchain Platform, as well as financing for market expansion. The emerging markets in the region have demonstrated robust economic performance during the past 20 years, with the average gross income per household on a steady rise. Increases in income have greatly contributed to demand for high quality education, with more households than ever willing to spend a premium on education from the early years to higher education. Asia Developer Academy (ADA) a joint venture between BAC Education Group and iTrain, hosted the graduation of its inaugural batch of Full Stack Web Developer students on the 29th of September, 2017. 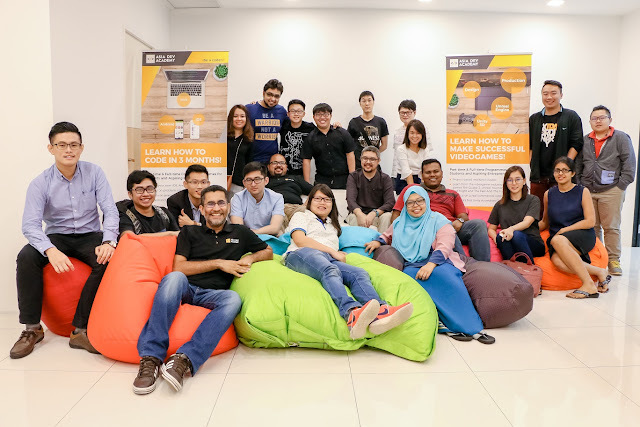 Held at its premises at the 13th floor of Menara VSQ in Section 14, Petaling Jaya, the students presented their projects and received their certificates from Bikesh Lakhmichand, CEO of the iTrain group of companies. Proudly looking on were their trainers for the six month programme, Wan Muzaffar bin Wan Hashim and Syed Muzani bin Syed Ahmad Safri. The course entailed the graduates learning to code from scratch and culminated in them producing their very own web-based application. Among the graduates was Yu Chin, a university student who decided to build an app to organise her class timetable and has a function to enable communication between students, lecturers and tutors. 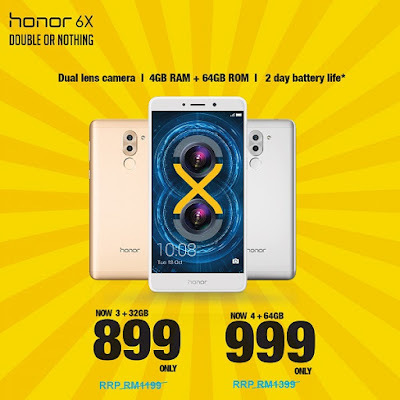 honor Malaysia today announces a price reduction for its solid built and competitive honor 6X. Starting from 3 October, the 64GB, 4GB RAM model will retail at RM999 from its original retail price of RM1,399 and the 32GB, 3GB RAM model at RM899 from its retail price of RM1,199. Featuring a generous 5.5-inch full HD (1920x1080p) display and an impressive 12MP plus 2MP vertical dual lens rear camera with various shooting modes, it allows for users to unleash a latitude of creative potential. The honor 6X is fueled with 4GBGB of RAM and equipped with a powerful 3340 mAh battery, providing users 2.15 days of usage and 1.54 days of heavy usage on a single full charge.